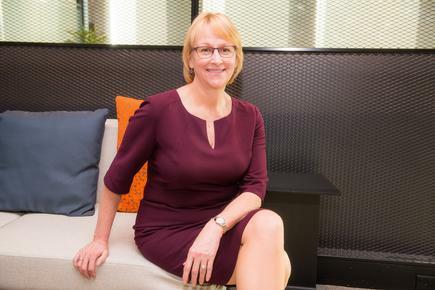 Workday has opened its third global support centre in Auckland, choosing the city over other locations in the Asia Pacific. The centre, at the Grant Thornton building in Auckland's CBD, complements Workday’s support centres in California and Dublin. 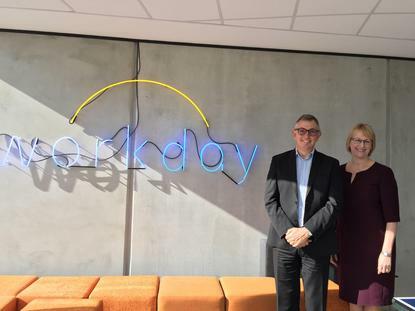 “We will be running support for all Workday customers around the world in this building,” says Rob Wells, Workday Australia and New Zealand managing director. Workday, with headquarters in Pleasanton, California, provides cloud-based human capital management and financial management software. 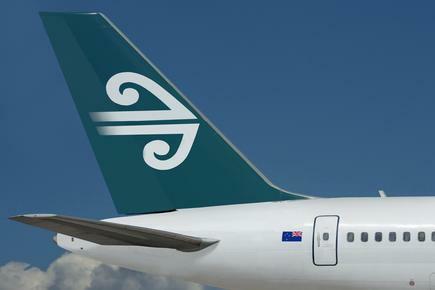 Wells also announced Air New Zealand is about to go live on Workday, replacing its PeopleSoft system. 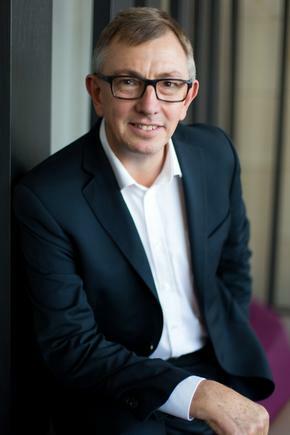 He adds Workday has more than 1,500 customers worldwide and 115-plus customers with operations in New Zealand, including Fletcher Building and Xero. 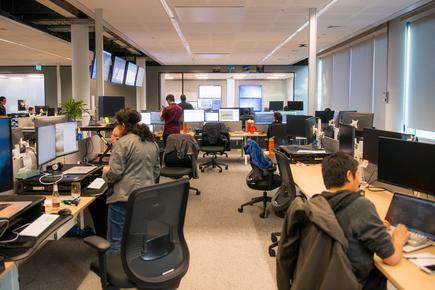 The Auckland support centre currently has 60 staff, but with space for up to 140 employees. We knew we could find the talent, that the time zone would work, and it is an easy travel to California, says Workday Chris Byrne, senior vice president, global operations, on why the company selected Auckland. She says New Zealand’s Privacy Act was also in line with Workday’s privacy commitments to customers. Workday has a “powerful community” who collaborate online with each other and with Workday developers, says Wells. "They see what is coming in the next couple of updates, and participate in the future direction of the product," he says. Customers also get to vote on ideas that will be included in their updates. Workday holds monthly seminars that are geared for the CIOs and IT departments of its customers. Chris Byrne says the seminars started three years ago when she noted that CIOs were asking same questions on certain themes, like disaster recovery and security. “So I hit upon this idea of a seminar series where our technical experts will present to CIOs and IT departments and we will record those series. That will allow the technical teams in our customer sites to really get involved in how we run the service. 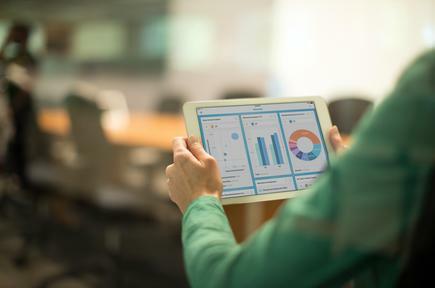 Analyst firm Gartner says Workday's rapid growth in software revenue has propelled it to third place in human capital management (HCM) software and number six in its worldwide ERP market share in 2015. This was up from number 44 in 2010. “Workday is an example of how a well-funded startup with the right balance of business and technical acumen can disrupt the established status quo in a comparatively short space of time,” according to Gartner's SWOT (strength, weakness, opportunities and threats) analysis of the global HCM software market. Workday has disrupted the HCM software market landscape to become one of the leading SaaS HCM vendors, says Gartner. The company was founded in 2005 by Aneel Bhusri and Dave Duffield following the acquisition of PeopleSoft by Oracle. The report, by analysts Chris Pang, Jeff Freyermuth and Ron Hanscome, says from the start, Workday aimed to be a "different" kind of enterprise software vendor with “a culture strongly focused on customer satisfaction”. Some of Workday’s early actions included taking on customers only when it felt it was ready, not overly “stretching” just to sign on new customers, notes Gartner. One weakness, according to Gartner, is that Workday is not an end-to-end ERP application. Its application suite is focused on administrative ERP workloads (HCM and financial management). Organisations requiring operational ERP support need to get these from other suppliers. This is where larger ERP suite vendors, such as Oracle, SAP and Infor, can be at an advantage with a "single supplier" message to customers with competitive pricing offered for "enterprise" or "suite" deals, says Gartner. Gartner, however, notes Workday is an early adopter of new technology, such as in-memory database and analytics. It has and continues to acquire technology to enhance and differentiate its offering, says Gartner, citing that Workday acquired four technology assets in 2015, and a big data analytics provider in 2016. It also established Workday Ventures, which acts as a venture capital fund to aid and gain access to innovative technology startups. 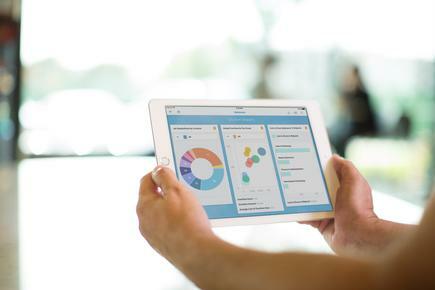 CEOs can further learn from a number of initiatives taken by Workday. Another lesson, Gartner advises, is to consistently invest in defence and reinvention strategies which span product, go-to-market and sales and marketing.